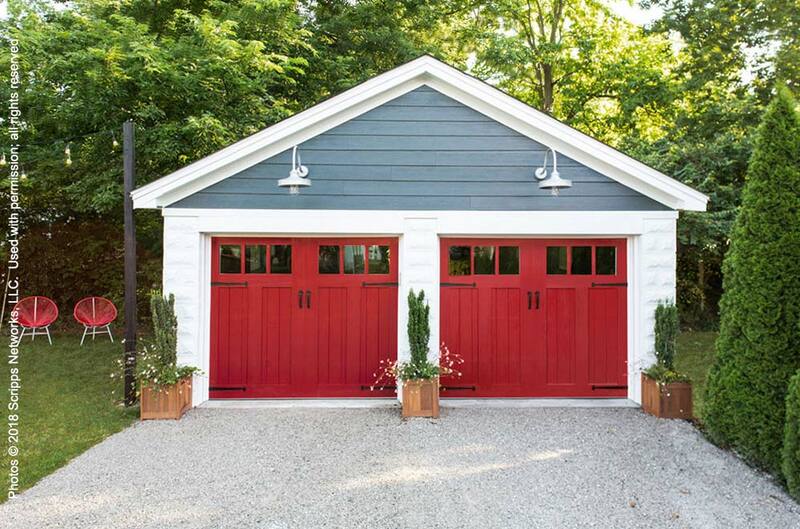 You probably won’t need to replace your home’s garage door very often, but when the time comes, you’ll want to pay close attention to the style. 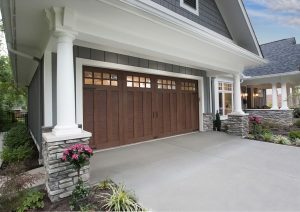 The garage door can make or break your home’s appearance. It will either make your property more attractive and boost its curb appeal or cause people to pass by with barely a glance. 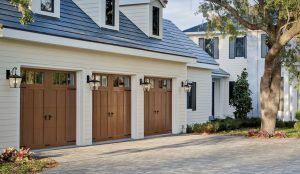 Understanding the importance of style, many homeowners are making carriage house doors their choice when making a garage door upgrade. 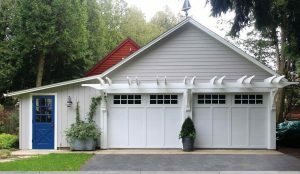 What Is a Carriage House Style Garage Door? 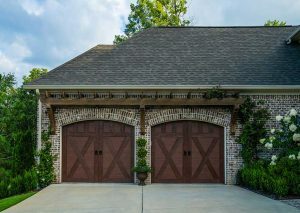 Carriage house doors are among the more unique garage door styles, exhibiting a rustic “old-world” charm that many homeowners find so appealing. Although they’re designed and built to resemble a pair of old-fashioned “swing out” doors, they offer the convenience of sliding up and over your head like most modern garage doors. Carriage house doors have a way of transforming an ordinary home into a stylish showcase that becomes a highlight of the neighborhood. 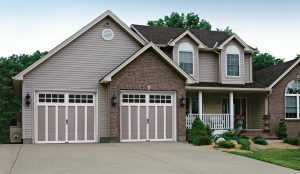 Quality Overhead Door is pleased to offer a wide selection of beautiful and functional carriage house garage doors from Clopay — widely recognized as the leading manufacturer of residential garage doors in North America — to homeowners throughout the Toledo, OH area. Clopay doors seamlessly combine extraordinary visual appeal with solid, durable construction that will deliver exceptional long-term value. Check out all our carriage house door options below. 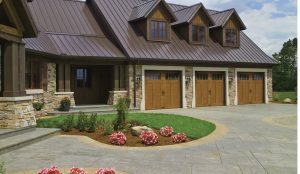 This limited-edition carriage house door series, from Clopay, features an innovative five-layer construction consisting of energy-efficient Intellicore® insulation sandwiched between two durable steel skins, and topped with faux wood composite and cladding and overlay for a beautiful finishing touch. The cladding and overlay are both molded from authentic wood pieces to replicate the natural grains of specific wood species. The result is an attractive door that also meets your long-term functionality and durability requirements. Choose from 14 base designs and five gorgeous factory finish options to achieve a customized look that complements your home’s exterior facade. 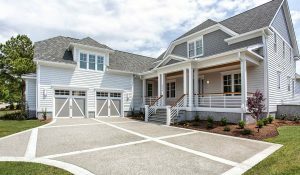 Any listing of the best carriage house style garage doors for homes on Ohio and Michigan would not be complete without mentioning the stunning Clopay Coachman Collection. Offering the ideal blend of beauty and practicality, these four-layer doors include the same “steel sandwich” construction as the Canyon Ridge Limited Edition Series, with the outer layer consisting of a composite overlay. Choose from four factory finish paint and overlay colors and an assortment of window glass options including rain, clear, seeded, obscure, frosted and insulated. With more than 1,000 unique style combinations, it’s easy to see how Coachman doors can suit a wide range of design tastes. The Ultra-Grain series, from Clopay, offers an attractive and economical alternative to the Canyon Ridge Limited Edition product line. The four-layer construction consists of a steel-insulation-steel sandwich and an outer Ultra-Grain faux wood finish featuring grain patterns that look just like natural stained wood. The 2″ Intellicore® polyurethane insulation with a thermal break gives the door an 18.4 R-value for exceptional energy efficiency. Choose from an assortment of factory finish options including Walnut, Medium and Slate, as well as window glass selections such as seeded, rain, obscure, clear and frosted. Heavy-duty, 14-gauge steel brackets and hinges ensure smooth, hassle-free operation. 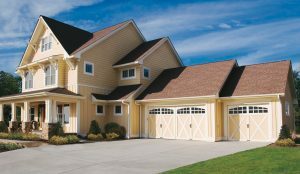 The Grand Harbor Collection, from Clopay Doors, can provide the best carriage house style garage door if cost is a primary consideration. These doors are an excellent choice for new construction and as a low-maintenance replacement of an existing structure. The 24-gauge steel (available in one or two layers) features a rugged coating system with a hot-dipped galvanized layer and baked-on primer and top coat that provides excellent protection for the skins. You can also choose to add 1 5/8″ vinyl-backed polystyrene insulation as an option to enhance the door’s energy efficiency. Select from four factory finish colors and three window glass offerings. 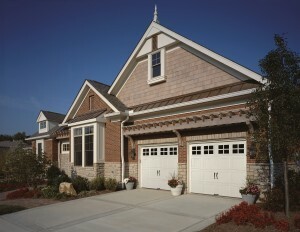 The Gallery Collection, from Clopay, adds a “vintage” look and feel to the traditional raised steel panel garage door. The uniquely grooved panel is the highlight of this innovative style, but you can customize it by integrating features such as decorative windows and wrought-iron hardware. You can also choose from polyurethane, polystyrene or vinyl-backed polystyrene insulation to meet your energy efficiency requirements. Numerous factory finish paint colors and window glass selections are available to help you create the ideal visual presentation and decor complement to your home. 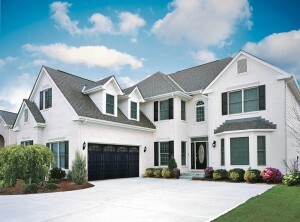 Finding the best carriage house style garage door for your home can take time. But when you consider that a garage door can cover 30 percent or more of a structure’s exterior facade, it’s important to choose carefully. Fortunately, you have access to the online Imagine design tool that can simplify the task. Begin by uploading a photo of the front of your home, then use the tool to integrate a variety of design options. Have fun as you “kick the tires” on multiple style, color and material combinations until you arrive at the one that’s perfect for your home. 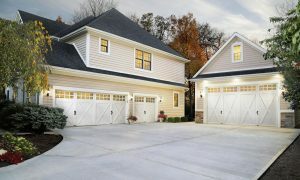 If you prefer some expert guidance when choosing the best carriage house style garage door, the team at Quality Overhead Door is always ready to help. We cordially invite you to visit our Toledo showroom in person to see our doors up-close and to receive valuable product selection tips. You can also give us a call for a no-obligation telephone consultation. Quality Overhead Door is a local, family-owned and operated company that’s been helping Toledo-area residents like you make informed garage door decisions for more than three decades. As an award-winning Clopay Master Authorized Dealer, we can also meet all your installation, repair and maintenance needs. 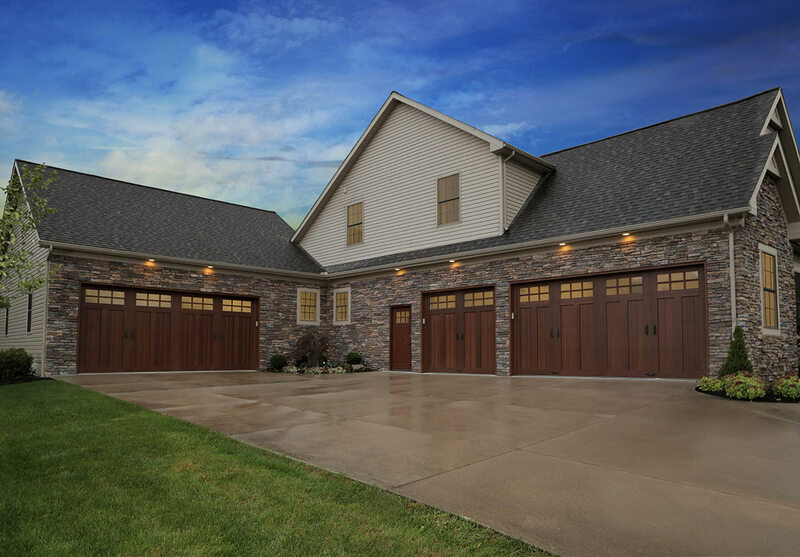 Please take a few minutes to browse our entire inventory of the best carriage house style garage doors in Toledo and beyond. And feel free to stop by and see us or give us a call for additional product and pricing information.